Remember my new prized possession? Good to the Grain? A book on baking with whole wheat flours. I started at 1:30 pm and took the loaf out of the oven at 7 pm! It was time consuming and I was about to give up, especially in the beginning as I had to restart 4 times because the yeast wasn’t reacting, but it was all worth it. I could have jumped with joy when I took it out of the oven and then seeing that it does actually look like a loaf of bread! My past experiences with yeast has been miserable so I was quite happy to see that it worked out. We had to wait a few hours before attempting to slice it. It was a lazy Saturday night so my sister and I decided to stay in and try the bread. She went and bought some turkey, cheese and mustard. I took the bread knife out and with slow breaths I cut the first slice. It was wonderful! 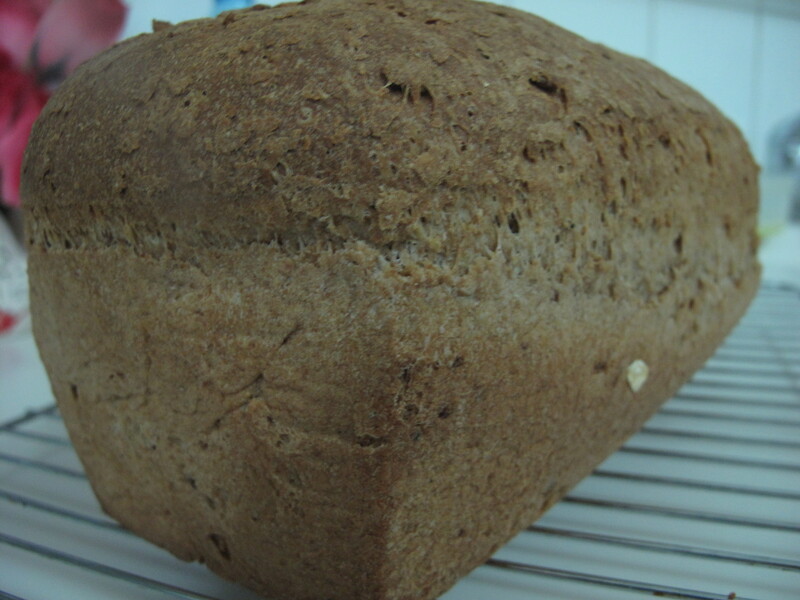 The smell, the texture and the grains peeking out; it was overwhelming. I buttered the slices, just because. 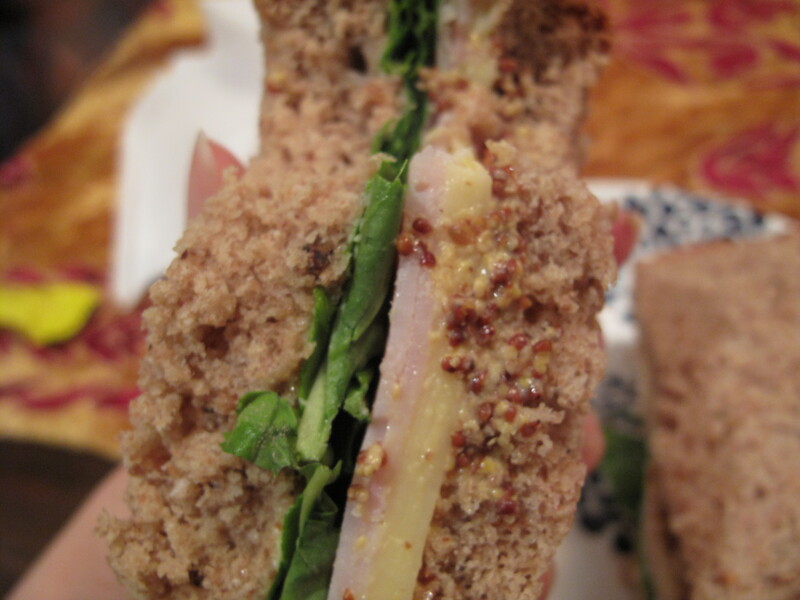 And layered turkey, cheese, Rocca leaves and a slathering of whole grain mustard. I’m hoping to make this a weekly ritual. If you love baking, I highly recommending getting this book. You will require a trip to Al-Raha Stone Mill but that’s a treat on its own so no complaints there. 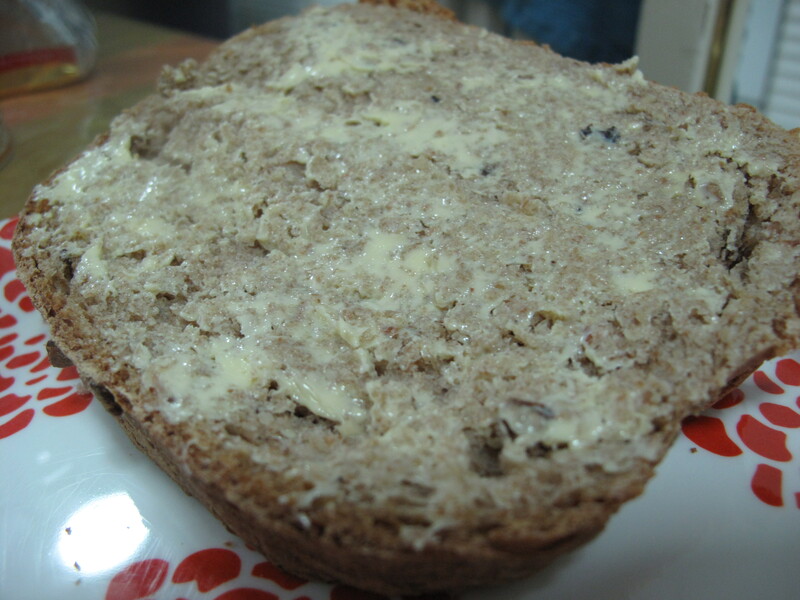 If you need the recipe for this bread, please do let me know in the comments section below. I’m also planning on posting about the cookies but I just need to adjust the recipe a little, test it and then if it turns out well, I’ll post about it. 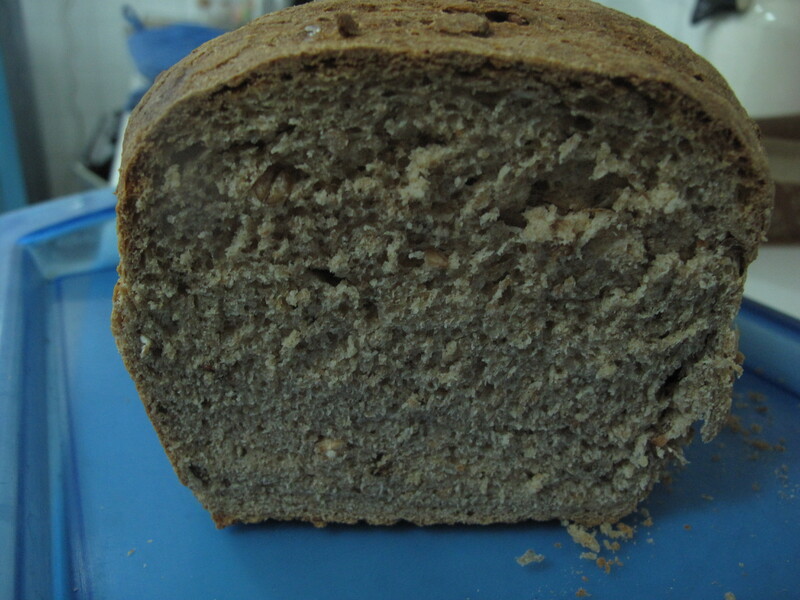 This entry was posted in Cookbooks, Experiments, Recommendations and tagged bread, oats, whole wheat by Budour. Bookmark the permalink. 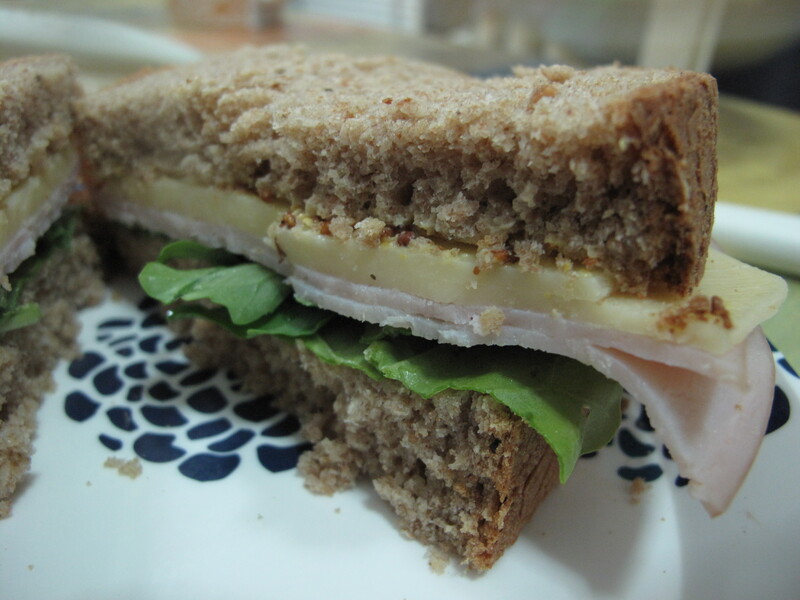 Mmmm that sandwich looks goood.. I love the idea of making homemade toast. I am 100% sure its more delicious than anything from the supermarket. It was! And I loved making it, very therapeutic. Yup! Very true. I’m excited by thought that I will inshallah be baking another loaf tomorrow.